Faire la queue | One quality, the finest. The only place I have ever seen a line streaming out the door of a bakery and down the sidewalk. That was in Paris. 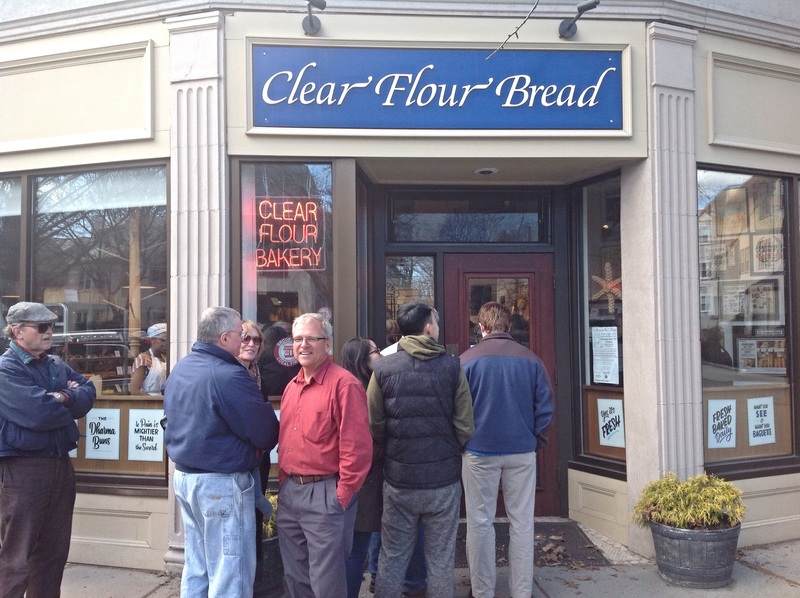 I’d read that Clear Flour Bread in Brookline, Massachusetts, had the best croissants in Boston. The line out the door tended to support this praise. 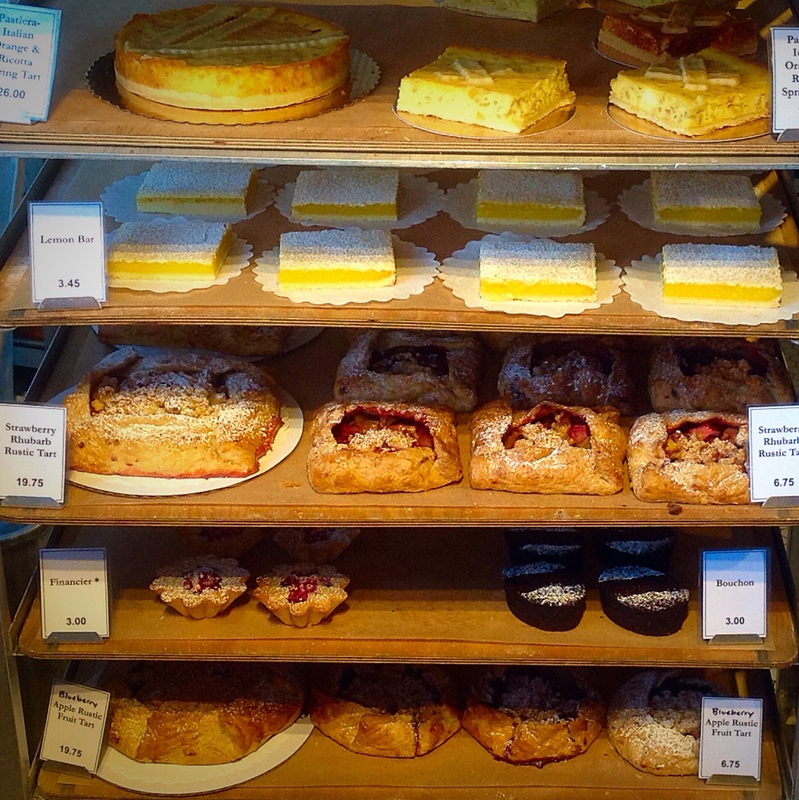 We joined the queue and ogled the rich variety of baked goods through the window while we waited our turn. When we were finally able to get inside the door, olfactory temptation was added to the visual enticement. What to choose? We ended up taking a bit of everything; small loaves of bread, brioche, a rustic strawberry and rhubarb tart, and, of course, croissants – both plain and pain au chocolat. In the interests of gustatory research, we’ve been working our way through our haul. The verdict is that their pastries are simply excellent, but the bread, while perfectly fine, is not off the charts. The croissants were worthy of a Parisian boulangerie, the rustic tart was full of flavor and the pastry was flaky and light, and the brioche de Provence was studded with orange peel. Yum! The French phrase for “to line up” is faire la queue (fare lah kuh). 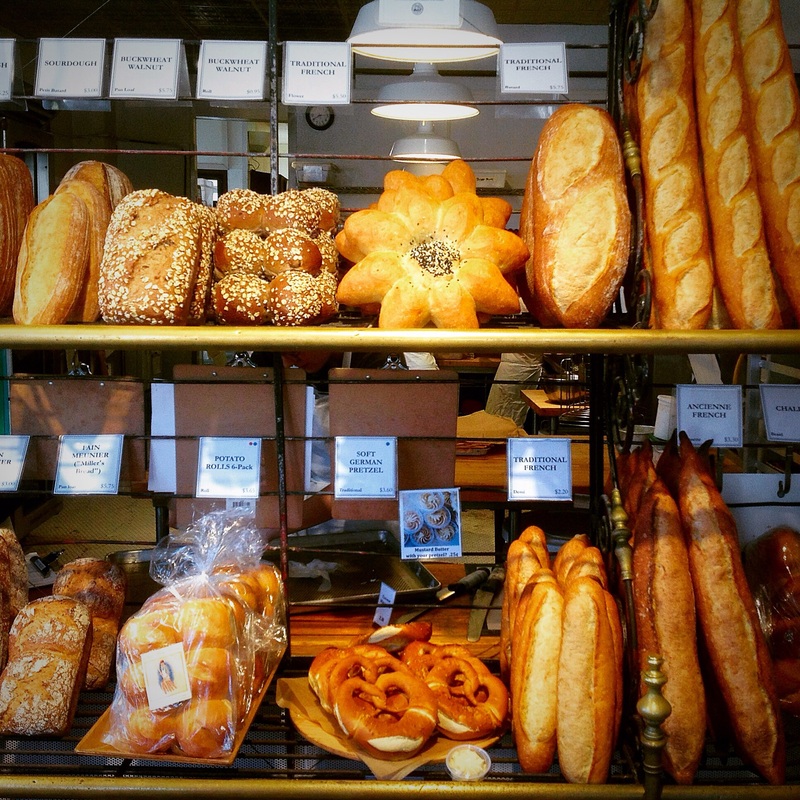 Although Brookline is half an hour away from where I live, I see regular trips to Clear Flour Bread in order to faire la queue in my future. If you’re in the greater Boston area, I highly recommend that you faire la queue as well. Bien-sûr je fais la queue! Yummy!